Whoa. 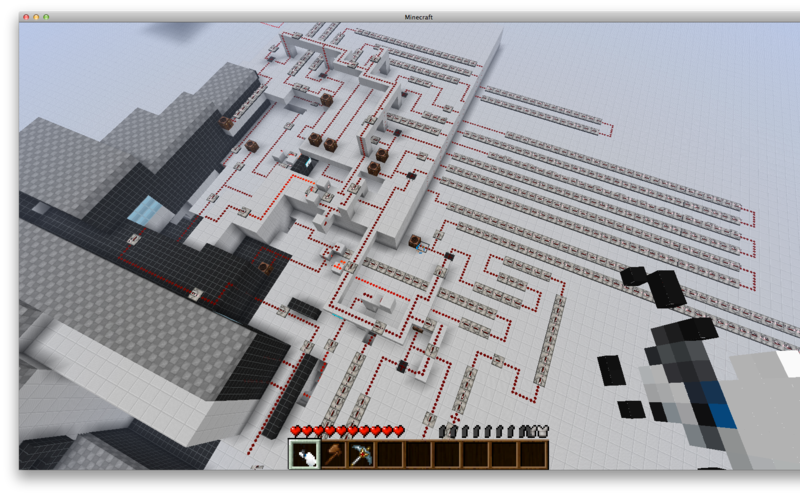 CompC, a Minecraft forumite, is working on a full recreation of Portal in Minecraft. Using the Portal Gun Mod (available here ), a hell of a lot of redstone , and an adapted tileset, he's already finished work on the first six chambers. Click on to open an HTML portal to video footage.